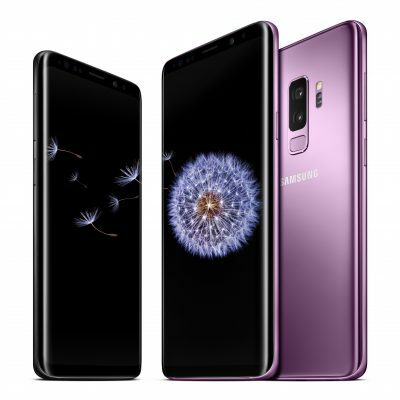 Samsung’s new entry in its flagship S line, the Galaxy S9 (G9 for short) builds off the success of last year’s S8 with several slick new enhancements. Design-wise, its exterior maintains the sleek lines of its predecessor. Inside, Samsung’s ‘Super Slow-Mo video’, a world-class, low-light camera and a cool AR emoji will delight owners. Samsung has enhanced many of the features that captivated S8 owners in its new phone. That, plus the improvements it has made, should make this phone high on Samsung fans’ priority lists for 2018. Subtle changes from the S8 have streamlined the S9 to even better showcase its enhanced functions. From a slimmer bezel below and above the display to a more logical placement for the fingerprint scanner, the S9’s futuristic cool shows at every angle. A curved display set in metal and glass is as easy on the eye as it is to use. With an IP68 water-resistance rating, you need not worry about spilling your drink on your phone while you’re out celebrating with your mates. A stronger aluminium rim and a thicker Gorilla Glass 5 coating for your screen ups the durability quotient. Of course, your virtual assistant, Bixby, is at your beck and call with a single touch of a button. With its high-resolution screen in vibrant colours, the S9 delivers superb viewing angles. Brighter screens show better on sunny days, a boon for Aussie users. Fast wire and wireless charging make the S9 a sure bet for those on the go. A headphone jack lets you immerse yourself in your personal soundtrack as you go about your daily grind. Stereo speakers make you feel like you’re in your own little world. A new combination face and iris scanner allow you to unlock the phone with the ultimate in security. At that price point, you don’t want it to be easy for thieves to co-opt. An Exynos processor and an LTE modem give you lightning-fast speed. Smooth scrolling lets you get the info you need in seconds. Instagrammers will love the S9’s rear camera. With an improved 12-megapixel image sensor, you enjoy a boost in image processing. Your lens can switch between a bright, large aperture and a smaller one, just as many high-grade digital cameras operate. Better low-light photos will allow you to capture that fabulous dish in that candlelit restaurant. Lest we forget, you have the option to create a 3D Bitmoji character that bears a scary resemblance to you. Send reactions to your friends’ comments with your alter ego and impress your mates. Should You Upgrade from the S8? That depends on your needs. If you love all the tech enhancements and the slimmer design, not to mention the improvements to the camera, you should run, not walk to your service provider to upgrade to the S9. If you’re content with the status quo, then sure, stay with the S8. But when your mate shows you all the new features and you run up against the green-eyed monster, don’t say we didn’t warn you.